Being a late bloomer isn't the end of the world. Rich Karlgaard was, as he put it, a late bloomer. However, things began to change for him after he took a job with a company as a temporary typist. It was there he began exercising after work with several of his colleagues, a group of engineers and project managers who would go on early evening runs together. While on one of their group runs, an engineer asked Karlgaard if he aspired to do anything more than being in a temp typing pool. “I said I did, but I had no clue what. I felt like I’d never figured out the whole job thing,” he said. Though Karlgaard couldn’t give his co-worker much of an answer at the time, the engineer saw potential in Karlgaard and offered him some work doing technical typing. That’s when something changed for Karlgaard. “It was like a lifeline from heaven, working with engineers and project managers, that opened my brain up to a world I’d never been exposed to,” he said. Today, Karlgaard is the publisher of Forbes magazine, a noted author, television commentator, private investor, and board director. Karlgaard knows his story isn’t as unique as some may think. 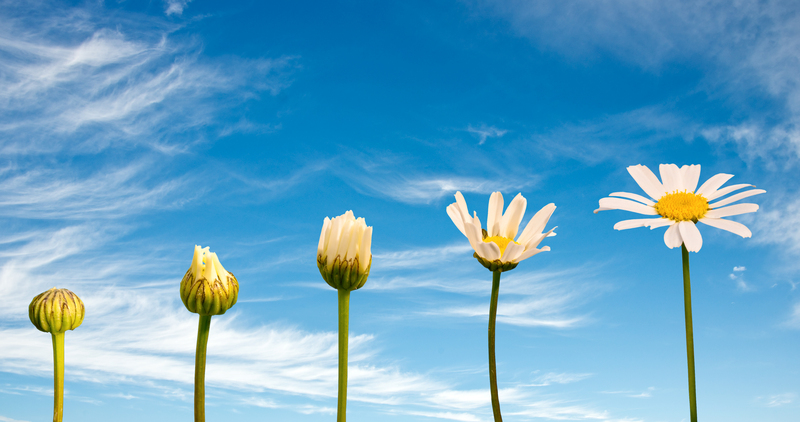 Many people bloom later in life when they’re given the room they need to grow. That’s why he’s made it his mission to help people understand that late bloomers simply have different paths of discovery. In fact, a new book titled “Late Bloomers,” written by Karlgaard, is due to be released by Penguin Random House on April 16, 2019. It chronicles Karlgaard’s own late-blooming trajectory and compiles years of research to discuss the psychology of late blooming. “The conveyor belt we’ve created that drives kids and teens to get great test scores rewards a different set of skills. There are so many more different kinds of human gifts that will flower in their own time. I want to start a national conversation around that,” Karlgaard said. As Karlgaard sees it, the problem is that our current society still views early achievement as a marker of success. While he acknowledges there are obviously other paths to success, he sees these fields as the most lucrative and stable — the fields that have minted the most millionaires and billionaires. “These two industries are really quite ruthless about who they screen for and the kinds of employees they want. They want people coming out of elite colleges with STEM backgrounds. The kid who may have had latent brilliance doesn’t get discovered,” Karlgaard said. As these industries have taken over, so has the pressure kids face to achieve as much as possible, as early as possible, to have the best options for the future. Most of that pressure comes from their parents, intentionally or not, as they’re also feeling the pressure to see their kids succeed. This can often be because they either see that success as a representation of how they performed as parents or simply want to know their children are going to be capable of taking care of themselves later in life. Just how far are some parents willing to go? The recent college admissions scandal, in which celebrities like Felicity Huffman and Lori Loughlin were charged for paying large amounts of money to bribe their kids into elite schools, proves some parents will go to great (and illegal) lengths. Stories like these highlight just how immense the pressure to be an early bloomer is today. John Mopper is an adolescent therapist with Blueprint Mental Health in Somerville, New Jersey. He also happens to consider himself a late bloomer. After bouncing around between jobs in his 20s, he told Healthline it wasn’t until he was 30 that he decided to pursue becoming a therapist. He wants parents to recognize that most teenagers aren’t ready to make long-term career decisions. “I think a very small percentage of 18-year-olds actually know what they want to do with their lives. Then there are some who think they know, but who will change their minds several times. And the majority don’t have a clue,” he said. Mopper said he was recently having a conversation about this topic with a client who happens to be a high school student. His advice to that client, and to all high schoolers who may be battling with uncertainty about their next steps, is to go to community college and just take four or five classes they’re truly interested in before committing to a degree. By allowing teens the time to truly discover what it is they’re interested in, what it is they want to do, his hope is that more can find the kind of success that extends far beyond a paycheck. Dr. Margaret Stager is director of the Division of Adolescent Medicine at MetroHealth Medical Center in Cleveland. She’s also a spokesperson for the American Academy of Pediatrics. She said that kids are being expected to achieve at younger and younger ages. She said she often tries to talk to parents about pulling back from those AP classes and rounding out the academics with something the student loves, whether that be sports or music or something to do with their church or favorite nonprofit. “That’s just as important to their development as AP chemistry,” she said. For his part, Karlgaard simply wants parents to know that it’s not the end of the world if a child doesn’t know what they want to be at 18 years old. In fact, he’d love to see our society start to recognize the benefits of alternative paths for young adults, to include community colleges, skilled trade schools, gap years, and perhaps even the adoption of national service programs and requirements. “I really feel fortunate that it was easier to be a late bloomer when I grew up,” he said. Though it may seem that society’s definition of success is shrinking, there are countless examples of successful adults who, like Karlgaard and Mopper, found success later in life. By telling their stories, perhaps we can begin to shift perspective and realize that what many in society see today as a failure to launch may simply be a late bloomer who needs more time to grow into the success they’re meant to be.